What is the history of why the Trinity doctrine is crafted the way it is? What problems about the nature of God does it solve that could not be solved as well in any other way? With several councils required to settle it (as I understand it), how many "forks in the road" could have gone another way, and why didn't they? Please, no dogmatic answers like "because God willed it." We're talking (at least on this website) about men who differed in opinion and met to do the best they could. What did they see as needing to be solved? Why did it go the way it did? The problem of the nature of God came to a head early in the reign of Emperor Constantine who, for political reasons, decided to legalise Christianity to stop the bloodshed by issuing the edict of Toleration from Milan in 313. Soon after, he declared himself a Christian and his army also Christian. This is well-known history. However, Constantine, as is well known, wanted to use Christianity as a unifying influence on the Roman Empire but noticed that Christian leaders were squabbling over the nature of God - essentially Arianism vs Trinitarianism. So he called a council at Nicaea to settle the matter which issued the Nicaean creed which essentially decided in favour (mostly) for Trinitarianism. Unfortunately, that did not settle the matter, as Constantine's son who became emperor after Constantine was Arian, and the next was Trinitarian. There has been an on-going dispute ever since - with more church councils and more creeds. The process exhausted itself by about the 8th century, but the debate still continues in many places. Arianism in various forms continues as a minority belief. Christianity is stridently monotheistic. Any theory must leave us with only one God. The NT makes numerous statements about three persons: Matt 3:16, 17, 28:19, Mark 1:10,11, Luke 3:21, 22, John 1:32, 15:26-16:14, Acts 10:38, Rom 1:2-4, 1 Cor 6:11, 12:2, 3, 2 Cor 13:14, Gal 3:11-14, Heb 9:14, 10:29, 1 Peter 1:2, 3, 4:14. The NT makes numerous statements that Jesus was equal to God, and calls Him God a number of times: John 1:1, John 1:18, John 5:17, 18, Luke 22:69-71, John 20:28, Rom 9:5, Phil 2:5-8, Titus 2:13, Heb 1:8, 2 Peter 1:1. The NT frequently applies the same titles to Jesus as are used for exclusively for YHWH in the OT: (I leave it as a simple exercise to show this) such as, Creator, Saviour, First and Last, I AM, having God's glory, Rock, Shepherd, Venerable, etc. This suggests that the NT writers believed that Jesus is YHWH (Jehovah). Sometimes Jesus says that the "Father is greater than I" (John 14:28) or some other variant. Modalism - The One God only appears in various forms such as Father or Son/Jesus or Holy Spirit as required. This creates a problem for all the three person statements and occasions when Jesus talked to the Father. Jesus was a mere man or angel who became some kind of lesser God. While this satisfies the "inferiority" texts, it creates the problem of having two Gods - a very serious problem indeed (for some). It is also a problem for the NT declaration that Jesus is the Jehovah of the OT. Jesus was created a god but still a lesser god than the Father, and depends on the Father for His existence (this is close to what Arius taught in Nicaea in 325) . Again, this is a kind of ditheism which is a form of polytheism - two gods! Binitarianism suggests that the Father and Son are co-equal and co-eternal and two persons composing the same God. This creates a problem with all the texts that discuss the divinity of the Holy Spirit which Binitarians try to explain away by saying that the Holy Spirit is just the impersonal influence of the father and/or son. This then also creates a problem with the three-person statements of the NT. Trinitarianism asserts that there are three co-equal, coeternal persons comprising one God. The "inferior statements" refer to Jesus only while on earth as providing an example of obedience (while He was not omnipresent etc.) during His incarnation. Eventually, Trinitarianism won the majority vote over a period of almost a thousand years simply because it is the only theory that is supposed to explain all the facts without making special pleadings for a large number of texts. I am sure the debate will continue. "how many "forks in the road" could have gone another way, and why didn't they?" Why do you think they didn't go another way? We authorize the followers of this law to assume the title of Catholic Christians; but as for the others, since, in our judgement, they are foolish madmen, we decree that they shall be branded with the ignominious name of heretics, and shall not presume to give their conventicles the name of churches. So to answer the original question, the Trinity Doctrine needs to be what it is now, because that's what the Roman Church decided it should be. Once one has accepted a doctrine, it is far too easy to fall into the trap of interpreting scriptures in a way that supports it (eisegesis), rather than assuming nothing to start with and then using scriptures to derive the truth (exegesis). This is comparable to the old and new methods of crime investigation: decide who did it and then put all your effort into finding enough evidence to convict them in court, versus, put all your effort into finding as much evidence as possible, and use that evidence to deduce who did it. More details about the process of the development of "Trinity" can be found in The Surprising Origins of the Trinity Doctrine. I am that I am. Exodus 3:14 KJV. The revelation was, in part, the way in which he spoke, from a bush which burned and was not consumed. There was a living, burning flame and, separate and distinct, a living bush that did not fuel the flame, and was not consumed by the flame. Out of that, spoke the Messenger of the Lord, Exodus 3:2, who is also God, Exodus 3:4. By faith, I understand that here is a revelation of Deity united with humanity (a supernatural self-sustaining flame in intimate contact with that which grew out of earth and is nourished by earth). Here is what Malachi writes of in the first few verses of chapter 3 - the Messenger of the Covenant, who is ... the Lord himself. With the coming of the Son, the Father - also - was revealed. And the Son also revealed the Holy Spirit. By examining, carefully, the documented words of Jesus Christ and by examining also the documented words of the twelve whom he, specifically, authorised to express the gospel, one can arrive at an understanding - if one is granted revelation through the gift of faith - of whom God is, personally, and what God is in his own nature. He is what he is. And he has revealed what he is, to faith. The fact that various individuals or groups of individuals have had disputes about these matters does not alter the reliability of the documentation or the reliability of the way in which faith works (by Divine revelation). The problem is unbelief and its close companion - ignorance. Not the answer you're looking for? 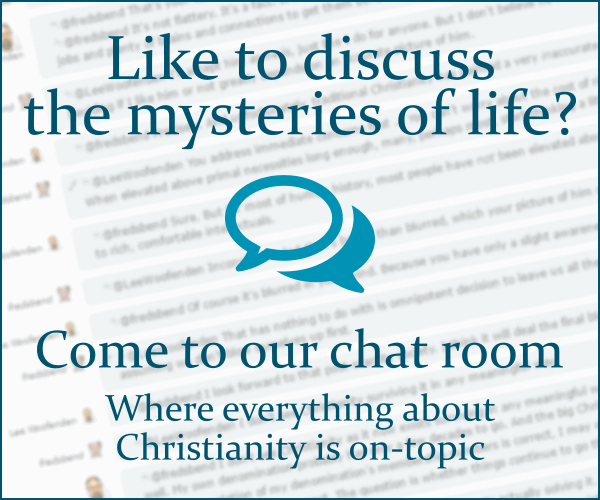 Browse other questions tagged trinity or ask your own question. Did early church fathers understand the doctrine of trinity? Who compared the Trinity to a triangle with three right angles? Did Jesus teach the Trinity? What was Isaac Newton's view of the Trinity? Did JWs believe in trinity and immortality of the soul before they got their own Bible?